Why are temper tantrums so difficult for parents to handle? Besides the fact that they’re loud, annoying and embarrassing, we often feel it’s our job requirement to make our kids act the way we feel they should behave. If we can’t do that, we feel ineffective. We also don’t like the judgments that we imagine others are making of us when our kids are out of control. We don’t know what to do, but feel we must do something—after all, we are the parents. And of course, on a deep level we want our kids to learn how to calm down and act “normally.” When they’re not able to do that because they haven’t yet figured out how to manage their own frustrations, it can sometimes cause us to have our own tantrums, which only adds more fuel to the fire. And when we feel a sense of helplessness, we often react by getting angry or giving in—and then we feel controlled by our kids’ behavior. But attempting to manage our anxiety by trying to control their responses never works. I think it’s better to focus on dealing with our own feelings of helplessness, embarrassment and frustration when our kids are having a meltdown. Remember, you’re just trying to be the anchor in the storm that’s calming the system down. If one person in a system can stay relatively calm, that is the best way you can quiet any kind of upset or tantrum. Sometimes parents ask me if there are ways to stop child temper tantrums from happening. I don’t really think there are—I think it’s natural to have tantrums. We adults have them all the time. We can lose our temper when someone cuts us off in traffic or when our kids don’t listen. Maturing is all about managing our emotions more effectively, and it’s a lifetime project. In my opinion, we can’t prevent tantrums, but we can impact how often and how long they go on by the way we respond to our children’s outbursts. I think when our children feel that we need them to behave “our way” in order for us to feel calm, it’s a natural reaction for them to become defensive. You’ll see an attitude of, “Oh yeah? Nobody can tell me what to do.” Ultimately, they will just shout louder and create more of a scene. We feel uneasy when we see our kids struggle, or be upset or uncomfortable, and this compounds the situation. As a result, we try to manage the anxiety that this provokes in us. When we yell or give in, we’re relieving our own distress rather than helping our children develop self control. If you’re in public or with others, you can simply explain that your child is having a hard time, excuse yourself and move out of the situation. Leave the room, go to the car, or go home. Do whatever you need to do quickly and matter–of–factly. Remember, you don’t want to give the tantrum attention, either positively or negatively. Hold on to your principles: In a relaxed moment, sit down and think about how you want to behave under the worst kind of stress. This is really key, because if you’re going to go by your “emotion of the moment,” you’ll often end up losing your cool. Consider how you want to react, and hold that picture in your mind. The next time your child acts out, do your best to remain true to that image of yourself. It may take some practice, but eventually you’ll be able to do it. Know what you can handle: Be realistic with your expectations. Know what you—and your kids—can handle. If you try to go on 15 errands instead of one, many young kids will not be able to deal with it. If your child is a little bit older, let him know what you expect; prepare him for what’s coming. You can say, “If you fall apart or start yelling for something, this is what’s going to happen.” Tell him what his consequence will be—and stick to it. If you are going to a store and your child tends to want everything in sight, provide him with a way to cope with his frustrations. For elementary school kids, I think it’s helpful to have them bring a pad of paper and a pen and make a list of things they want. They can put things they see on their Christmas or birthday list. Smaller kids might draw pictures of what they’d like. I think it’s helpful to have a little tool box, so to speak, of things for your kids to do so that they can help themselves stay calm. Try to avoid your child’s “triggers” if you can: Try to avoid triggers that you know will set your child off. If your children are older, you can teach them to observe themselves. Do this by pointing out what you see happening. You can say, “I know when you come home from school and you’ve had a bad day, you tend to take it out on your little brother. What can you do instead of yelling at him and picking a fight?” Your child might say, “Well, I can spend some time in my room listening to music instead.” Your goal with your child here is to try some new things to avoid his triggers, and teach him how to see what sets him off in the process. Physical triggers are also very common. For younger children especially, make sure they’re getting proper rest and food and that they’re not over–extended. Plan ahead and give yourself a pep talk: If you know certain things trigger your child’s tantrums, plan ahead. Say to yourself, “We’re going to the grocery store, and I know what typically can happen there. So I’m going to warn my child and talk about what my expectations are ahead of time. If he has a tantrum, I’m going to stick to my guns.” Help coach him on ways to handle those triggers and let him know what you’ll do if he cannot manage his frustration. With younger kids, from toddler to the age of six, you may have to just physically pick them up and move them out of the store. Prepare yourself for that eventuality. Be a good role model: Be a good role model in terms of your own behavior. How do you feel when you’re frustrated about something? What you do with those feelings is something your child is going to learn. Decide how you will behave, no matter how your child behaves. Step away from your own emotions to figure out thoughtful responses to these difficult situations. Ask yourself this question: “How can I calm down when my child loses it?” instead of “How can I get my child to calm down?” No one can control how another person feels, period. And the more you try to manage your child’s reactions, the more he’ll probably act out. Here are some rules of thumb I’ve found to be effective when you’re in the eye of the storm and your child has gone into tantrum mode. Get yourself to zero: The first order of business is to get yourself under control; get calm, rather than trying to get your child under control. Put the effort there. Take a walk around the house, count to 100, take your own timeout. Call a friend. Do whatever you can do to get yourself under control, but again, try not to lose your temper. Remember, you’re just trying to be the anchor in the storm that’s calming the system down. If one person in a system can stay relatively calm, that’s the best way to quiet any kind of upset or tantrum. Remember that you’re not responsible for getting your child under control: Remember, you are not responsible for the choices your child makes. Rather, you are responsible for how you choose to handle those choices. Try not to get engaged by your kids’ angry outbursts. If it doesn’t capture you, it won’t capture them. Stay focused on staying calm. Do not react by yelling, worrying, hovering or giving in—all typical things that we do as parents. Try not to lose it and have your own tantrum: This will only serve to escalate your child’s anger and frustration, and make him feel more defensive. Remember, anxiety is contagious, and so is calm. Do not give into your child’s request: If you give in to your child’s requests when he has an outburst, it will set up a pattern where you create more tantrums. 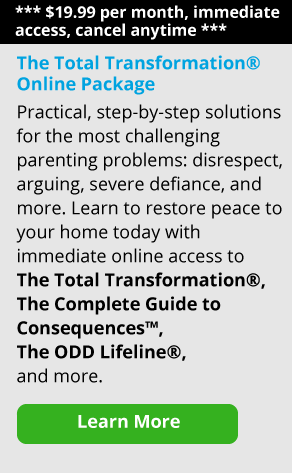 In effect, you’ve taught your child that the best way to get what he wants is to scream, yell and be out of control. Isolate your child: I don’t mean to put your child into an isolation booth, but rather, put your younger child in his room or in some spot where he can have a timeout or cooling off period and learn how to soothe himself. Make sure you’re not continually engaging him in his tantrum. Remind yourself that it’s your job to teach your child: Remind yourself that you are the teacher. Your children can’t handle these strong emotions yet and it’s our job to help them learn how to do that. Remember, they are testing you—and believe it or not, they truly want you to win this particular test. On the surface, your child really wants you to give in, but on another level, he wants to see that there are strong parents in the room. Kids want to know that their parents are sturdy, strong and reliable and are people who mean what they say. They don’t want parents who are going to fall apart. They need us to stay anchored so they won’t drown. Use empathy: When your child is in the middle of a tantrum, I think it’s important to be empathetic but not give in or lose it. If it’s appropriate, you can say, “I know it’s very frustrating, I understand you wanted to get this video game today.” Empathy opens people up to being able to hear us; if we don’t start with that, it shuts things down. I don’t mean that you should spend lots of time delving into your child’s feelings, but a tone, a look or a word of empathy can go a long way when your child is frustrated. The little question you should ask yourself: Ask yourself “What do I want to do in this situation?” Rather than& “What do I want my child to do.” Just that little switch in thinking often makes a big difference. Because again, if I’m going to be working hard to get my kids under control, it’s going to be a very different outcome than if I’m working hard to get myself under control. 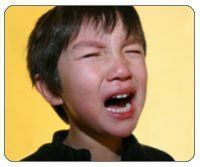 If you give in to your child when he has tantrums—or throw one yourself in reaction to his outbursts—as he grows older and reaches adolescence, this will often turn into a chronic power struggle. Sadly, I’ve seen it many times in my practice. And temper tantrums in older children are no laughing matter. Your teenage son will become relentless; he won’t take “no” for an answer. Your tween daughter will wear you down and become an expert at manipulating you. Or your child might become aggressive and fight with you all the time. What these kids learn is that they can get things by intimidating other people. They will not have learned how to regulate themselves so therefore their behaviors will be very reactive and extreme. And believe me, these power struggles do become battles. Just look at a two–year–old throwing a tantrum and imagine what a 20–year–old will look like. You might see him punching the walls, yelling, calling you names and intimidating you, and storming out of the house. And if you react in turn, on and on it goes. But here’s a secret: it just takes one person to stop this pattern, and then the whole thing settles down. So decide not to hit the ball back next time. Don’t let your emotions get the best of you when your child acts out. That will ultimately help your child to manage his strong emotions and frustrations. So think about building relationships for the long term, rather than changing annoying behaviors in the shorter term. A lot of times, we just want to get our kids to stop the tantrum or acting-out behavior. We think, “I can’t stand this anymore!” or “They’re fighting all the time. It’s driving me crazy!” If we simply want to get somebody to stop doing something, we can probably get them to do it, but we may hurt our relationship with them in the long term. On the other hand, if we want to work on a relationship that is going to have longevity ten or twenty years from now, we have to think of it in terms of building on it every time we respond to our kids. We need to thoughtfully respond to them so that we keep the relationship intact. And the way we can do that is by trying to influence them rather than control them. Influence comes through respecting our kids and their choices, and not getting mad at them or taking it personally when they have tantrums. In my opinion, this is the best road to building a strong relationship with our children.